They were credit–worthy decisions, and again, it's easy to look back and say if we would have known real estate values would plummet 40%...it's easy to have 20–20 hindsight and make those decisions. Broadway Bank has filed foreclosure cases in Cook County Circuit Court to collect nearly $2.5 million on a 2004 loan to two convicted felons, Michael Giorango, 56, and Demitri Stavropolous, 41, that was secured in part by two Chicago properties (11414 S. Halsted St., Morgan Park, IL and 1201 S. Western Ave, Chicago, IL). Separately, the Chicago-based bank has filed suit in Miami-Dade County Circuit Court to collect $10.4 million on a 45-rooom South Beach hotel and shuttered restaurant in Hollywood, Fla., which are owned by ventures that include the duo. Broadway Bank, of which Giannoulias was president, also has interesting business with known figures in the mafia. Convicted bookie, boxing promoter, pimp, and mafia dupe Michael "Jaws" Giorango was able to secure a $11.8 million loan to build a casino. Alexi has changed his story often about this deal. Sometimes he blames his brother for the deal, other times he has called Giorango a "very nice person." In an interview with the Chicago Tribune, he admitted that he helped service the deal and that he spoke with Giorango about his criminal history. Money speaks and doing business with people entangles you in their business. Maybe it was Giannoulias money that Giroango used to fuel the prostitution ring he ran in Miami until he was convicted in 2004? Who knows? The current treasurer looks destined to run for the U–S Senate. Democrat Alexi Giannoulias has formed an exploratory commission. An old issue could come back to haunt a new campaign for Giannoulias. 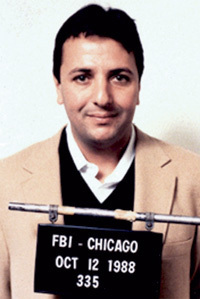 Crain's Chicago Business today reported the bank run by Giannoulias' family is suing four companies for loan defaults. But it gets trickier for Alexi Giannoulias politically because he was the bank's chief loan officer at the time of the loans....and two of the companies' owners were convicted felons. We asked Giannoulias about the loans Monday on Live at Five. "It's become challenging for a lot of borrowers, a lot of bankers, a lot of financial institutions," said Giannoulias. But when asked if he should have lent money to convicted felons, he said: "They were credit–worthy decisions, and again, it's easy to look back and say if we would have known real estate values would plummet 40%...it's easy to have 20–20 hindsight and make those decisions." 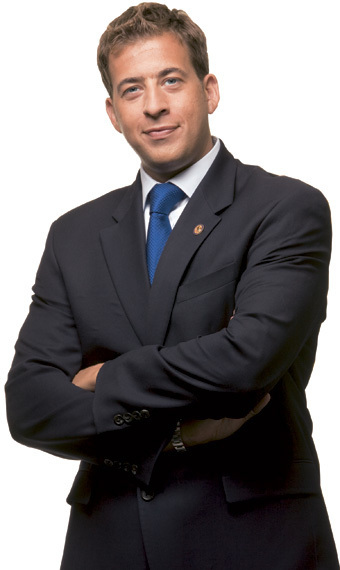 Giannoulias is considered the Democratic frontrunner in the upcoming race to replace Senator Roland Burris. He says the official announcement that he's running should come in the next few weeks.